There's work to be done. On a night where 2 points could have had our boys in blue tied for 5th in the standings and a little bit of the pressure off, we allowed ourselves to be outworked down the stretch. The million dollar question is "How big was this loss?" Number wise, it's big just like every other game this time of year unless your BBq'ing in sunny San Jose; Stinking of beans in Boston or running for your life in Detroit....after a loss. Hockey wise, you could say we put up a good fight and pretend not to hear the chants of "liar". Scoring our only goal very early in the first on a gaffe by Alex Auld was apparently all we needed to decide the plan for the night was going to be to try and recreate that mistake. Amidst all the scrums, face washes and Dubinksy taking every opportunity to flatten a somewhat disinterested Danny Heatley, we found ourselves down a defenseman as a low hip check hobbled Rozsival and sent him to the locker room. He would not return and the sens would tie it up. A classic patented Gomez no look, drop pass give-away... paved the way to usher in the go ahead goal for Ottawa. We spent the entire third period trying to score goals on wraparounds and jam in attempts from the sides of the net. Aside from a promising 3 shot sequence from Naslund and trying to chop rebounds through a forest of Ottawa legs, the last 20 minutes we filled with ironic futility as we thought Auld was just to good a goalie to shoot at him from the front. While the game is not as ugly as I am making it sound, it wasn't pretty either. As sportswriters offered up excuses (back to back games, fatigue) in the post game interviews, the team and its coach knew better and wouldn't accept. The fact is we played a team that is used to playing the attack game and is on a roll right now and where their top line couldn't bring themselves to score, a kid (originally from Connecticut)on their team took the opportunity to make it a night for his family and friends in attendance. Aww, how nice. Anyway, back to us... the cloud hanging over us says we lost a game to a team thats probably fighting in vain to get a sniff of post season play. It happens. Will coach and players let it happen again? We'll have to see... With Ranger conqueror, Marion Gaborik coming to town Tuesday... there's only one answer to the million dollar question. A Call Up: Sauer has been called up to play some D against the Wild as Rozi is due for an MRI. I'm interested to see him play. With Del Zotto starting off the year and Potter getting in some games, there must have been some reason that Schoeny gave the word that we should go with Sauer. Everyone is going to be surprised by Sauer's playmaking. He carries the puck well and he is ideal for Torts and his forward motion system. I've seen the guy play and he has earned the chance. What's the worst thing that might happen with Rozy out? We've been complaining about the guy for years, so It's a new opportunity for someone to claim the spot. This guy has been around for a while...battling with Dubinsky a couple seasons ago for a spot --- I think he's been pretty disappointing, but one of the better D-records for the Wolfpack. We'll see. All this talk on Bobby Sanguinetti -- it seems that he may be a bust, as we've never called him down. I know D-men take longer to develop (i.e. Staal) but not sure if this guy is all the hype-machine. Wish I had seen the game, but appreciate J-Undisputed and Graying Mantis for covering this week! Nice coverage fellas. As it stands now, Roszy is expected to be out for about 7-10 days. Apparently from reports I read, Sauer has played himself into game shape after finally recovering from last year's knee injury. Also, he was on a bit of a scoring tear. He's a big kid -- 6'3". 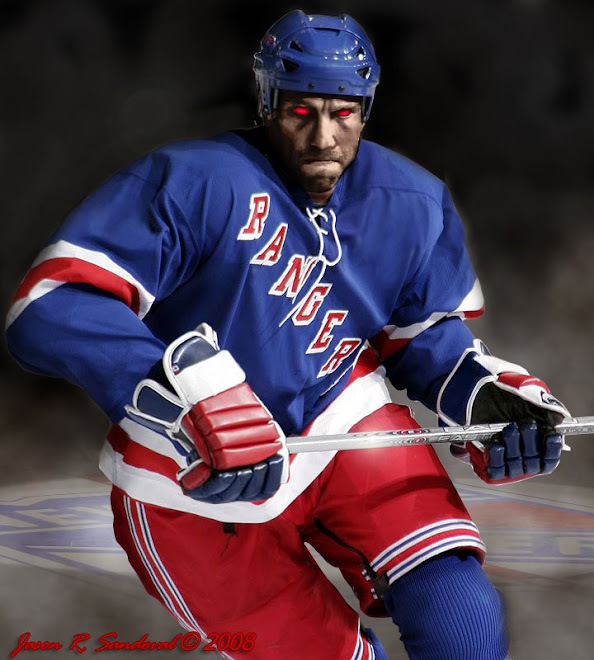 What the Rangers need is for him not to have a deer in the headlight reaction and play a steady defensive game. 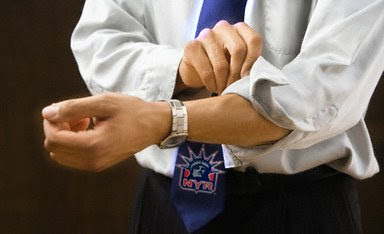 As for the game, it was a letdown game -- the Rangers were close to scoring but their overall timing was off. Auld was outright awful -- the Rangers could have blown him out like they did to Colorado a couple of weeks ago. Perhaps too much celebrating Callahan's birthday. After the game I surmised that The Ottawa Senators were better playing a defensively minded Rangers than our new attack style. there are some teams that were more effected than others, but i agree with this post that Ottwa is used to playing this type of game. The Rangers looked strong but you can see they are still not comfortable entirely with the new Torts style. they are getting better, though.